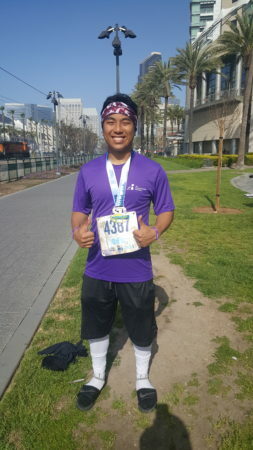 My name is Anthony and I am the brother of someone who suffers from chronic pancreatitis. After his first hospital visit in 2003, my brother Allan continued to suffer from chronic pancreatitis attacks throughout his years at university, which extended his time in school a couple years longer than planned. After moving to San Diego in 2012, he began to see a reduction in attacks. But, the attacks resurfaced in 2015, and after almost a decade and a half of countless visits to the hospital, he will likely be going under laparoscopic pancreatectomy within the next year. He has gone through extensive tests, nerve block, and currently takes one of the strongest pain medicines, fentanyl, just to manage his pain. They will remove a part of his damaged pancreas and, if successful, will result in, best case, diabetes and the ability to manage the pain sourcing from his pancreas. It is difficult to watch him suffer and not be able to live the life he wants. For the past year, he has been bed-ridden for days on end and would rather sleep in order to forego the pain. He is one of the strongest people I know. In support of my brother, my sister and I are pushing ourselves in what he cannot do – be physically active and push ourselves to our limits. I share his story to raise awareness for a health condition that appears invisible to most.